The spirit of a dead artist takes revenge on those who exploit his work. As far as targets of satire go, the art world offers much low hanging fruit. The reductive view of the artist is of a pretentious, over-sensitive pseud who has somehow managed to fool the world into thinking they possess some sort of indefinable talent. Movies like Roger Corman's A Bucket of Blood and the Tony Hancock comedy The Rebel have mined this stereotype with comedic success, but such a critique is a cretinous one, a take on the level of "My kid could paint that!" I have to confess that much modern art looks frankly rather silly to my uneducated eyes, but's that a reflection of my ignorance rather than the artist's talent, just as I consider Godard's King Lear a masterpiece while most viewers (and certainly Shakespeare purists) would dismiss it with a wanking hand gesture. Perhaps more fitting of satirical scorn than artists - most of whom are struggling to balance their talent while keeping a roof over their head - is the cabal of vampires who get rich off the backs of their creative gifts, the agents, exhibitors and celebrity critics who reduce a work of art to a dollar value and a status symbol to ultimately be purchased most likely by someone rich enough to afford a great artwork but too ignorant to appreciate it. With his third film as director, Dan Gilroy (Nightcrawler; Roman J. Israel, Esq.) takes on this world, but his satirical sword isn't nearly sharp enough to cut deep enough into this materialistic milieu. In what seems like an expansion of her bit part in the similarly themed though far superior Nocturnal Animals, Zawe Ashton plays Josephina, the aspirational assistant to high end gallery owner and former punk princess Rhodora Haze (Rene Russo). When one of her neighbours dies suddenly, Josephina decides to peek into his apartment and is shocked to find it a treasure trove filled with paintings of considerable quality. Scooping up the dead artist's work, Josephina consults art critic Morf Vandewalt (Jake Gyllenhaal), who reacts as though stricken by Stendahl Syndrome, declaring the deceased painter, Vetril Dease, a genius in his field. Striking a deal with Haze, Josephina sets about displaying Dease's work in an exhibition, drawing the attention of the art world. 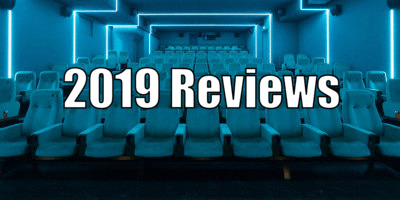 It's at this point that Gilroy's film morphs from a blunt satire to an even less effective horror movie as those with a hand in exploiting Dease's work find themselves killed off one by one through a myriad of supernatural means. The second half of the movie plays like a cousin of the sort of second-rate mainstream horrors that came out of Hollywood in the wake of Final Destination, and Gilroy is out of his depth in his attempts to craft suspenseful horror sequences. 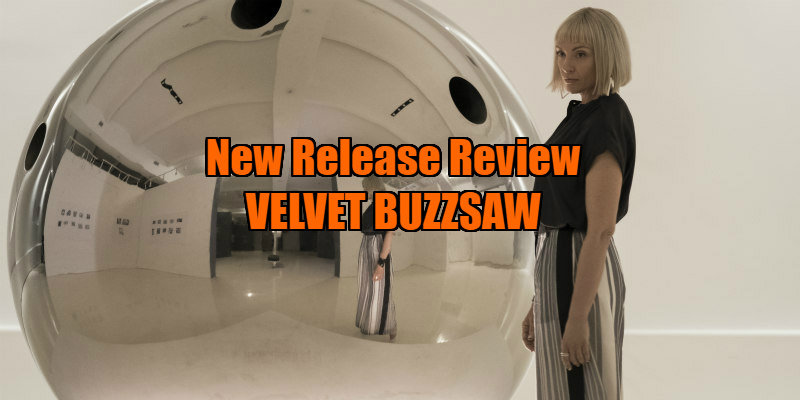 Velvet Buzzsaw is a classic example of a horror movie made by someone who appears to view the genre with disdain and believes, well, that their "kid could paint that." One of the great misconceptions about horror is that fans of the genre always root for the killer, which couldn't be further from the truth, and so we get too many horror movies with unlikeable characters designed to make us cheer on their deaths. What horror fans really want is a likeable, identifiably real protagonist (Laurie Strode anyone?) whose predicament they can become personally invested in. When horror audiences shout at the screen, they're screaming "He's behind you! ", not "She's in front of you!" Gilroy lazily gives us a crop of cheaply rendered art-meets-commerce stereotypes and pins his hopes on us finding entertainment value in their bloody demises, but with nobody we actually care for to carry this narrative forward, we're left yawning as a series of cardboard characters (all played by actors who deserve better) are offed in unremarkable ways. Velvet Buzzsaw is so sloppily made you may find yourself wondering if your kid actually might have done a better job with this material than Gilroy. 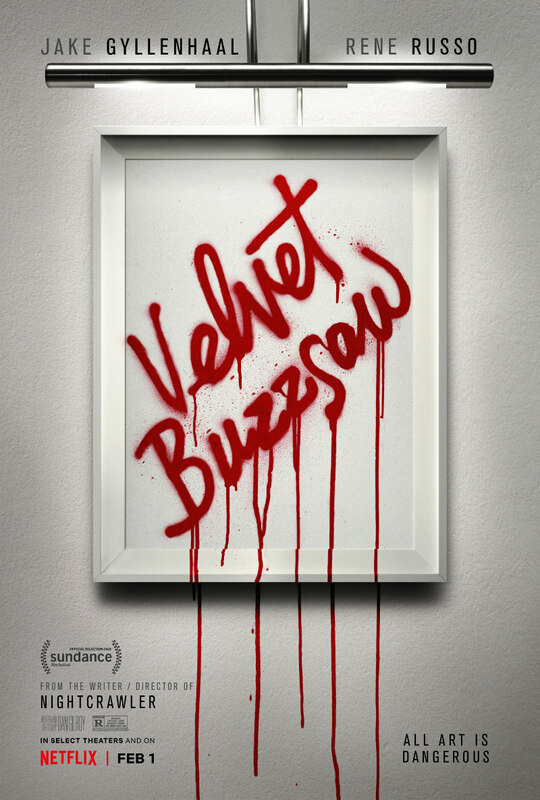 Velvet Buzzsaw is on Netflix now.